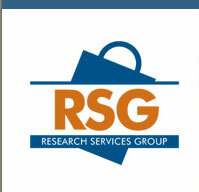 Research Services Group mystery shopping company was founded in 2008 as Research Services Group in Atlanta, Georgia. They have business offices in the United States, Asia, and Europe. The mystery shopping company started out as a home-based business in 2008 and has been very successful. Their headquarters are in Atlanta, Georgia, with a west coast office in Redondo Beach, California. They changed their company name from Research Services Group to Mystery Researchers in September of 2012. On October 7, 2014, Mystery Researchers acquired two other mystery shopping companies: Beyond Hello, and Insula Research. In November of 2015, the mystery shopping companies Mystery Researchers, Beyond Hello, and Insula Research merged to form SeeLevel HX. Lisa Van Kesteren founded Research Services Group in 2008. She was also one of the founding members of the Mystery Shopping Providers association created in 1997. She is the still the CEO of SeeLevel HX, which was formed by the merger of Mystery Researchers (Research Services Group), Beyond Hello, and Insula Research. I did mystery shopping jobs for them a few times every year when they were called Research Services Group mystery shopping. The majority of what they have in my general vicinity are charge card checks. With these you run with a store, express enthusiasm for a costly item, raise a complaint to the cost, then listen to whether the sales representative suggests any accessible credit choices. I really enjoy these types of shops because it allows me to practice haggling, something I need to do more of in real life. This mystery shopping company has been merged into another company, SeeLevel HX. You can find them listed on the Best Mystery Shopping Companies page.